A garden flat set across the two lower floors of a Victorian house in East London required a larger kitchen and dining space. 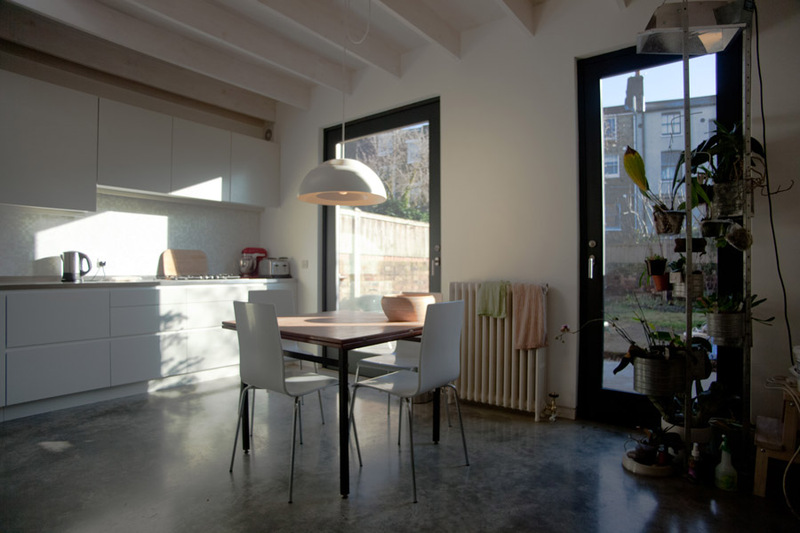 This new extension was achieved on a low budget with simple, practical design solutions integrated within the architecture. 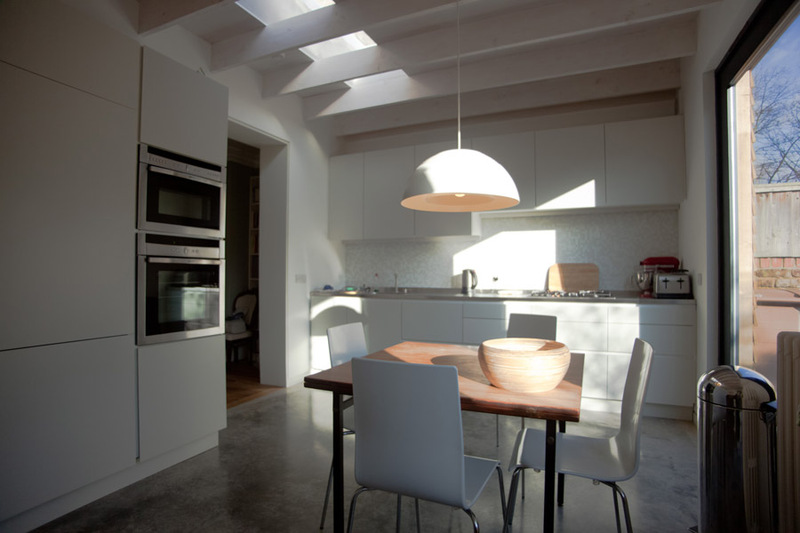 The ceiling beams were left exposed and the polished concrete flooring required no further treatment. 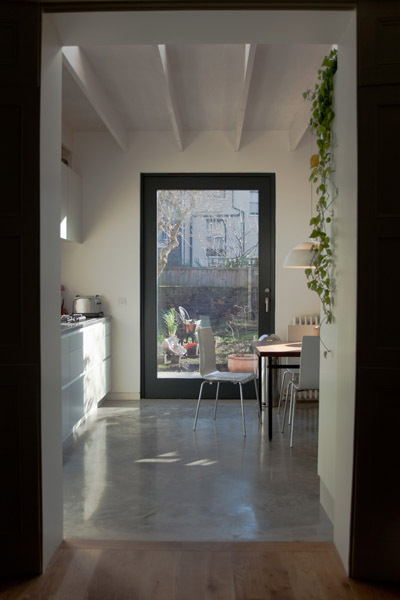 New glass doors open onto the garden and bathe the space in natural light.